Those little hands thoult raise no more. Has snatched thee from affections breasts. 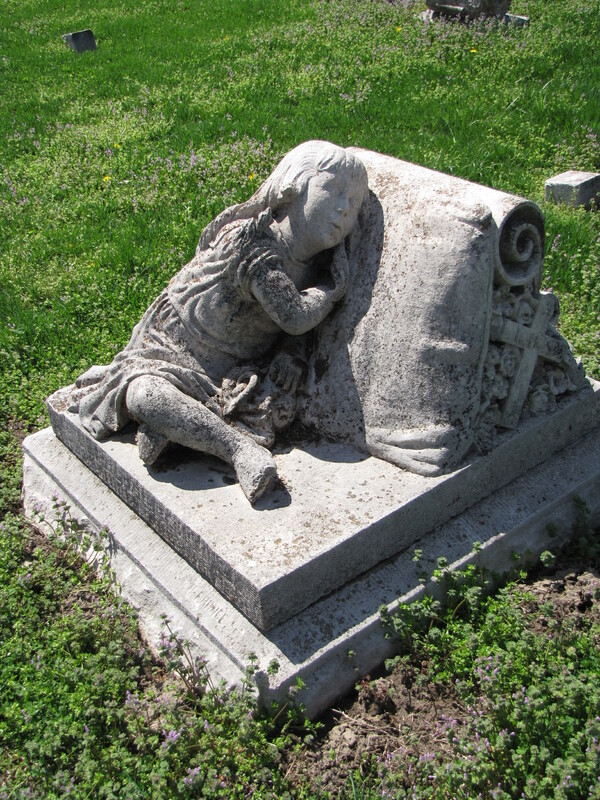 The most poignant and tender gravestones are those for children. 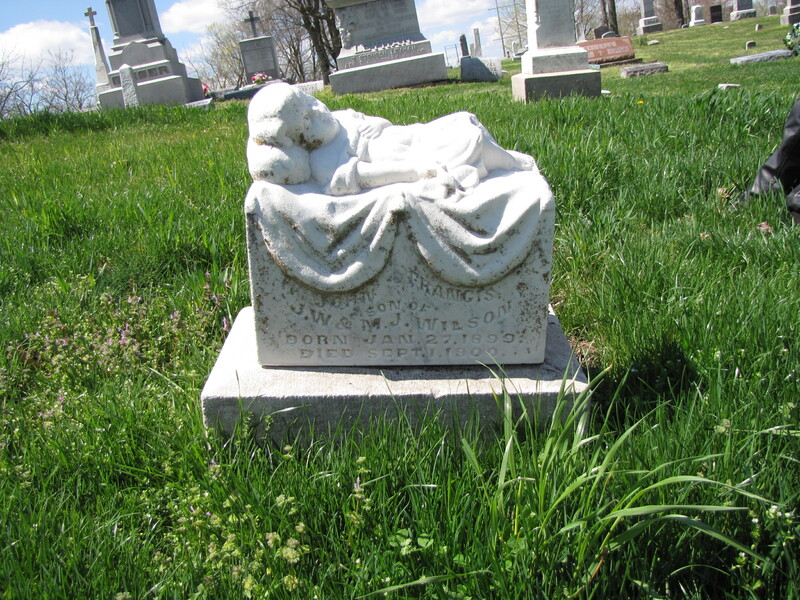 Mortality rates for children were very high. 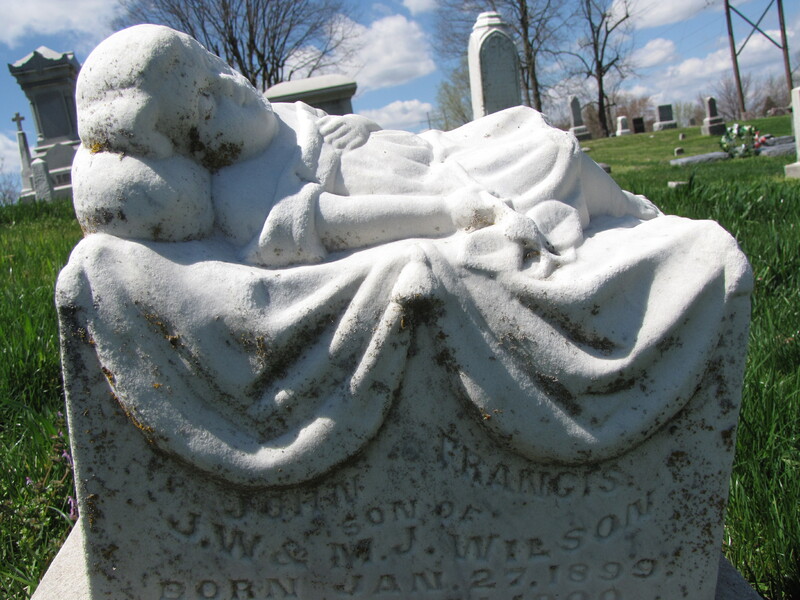 In the 1850s, for example, the mortality rates for children under one year were estimated at over 200 deaths per thousand, with much higher mortality rates for children under 5. 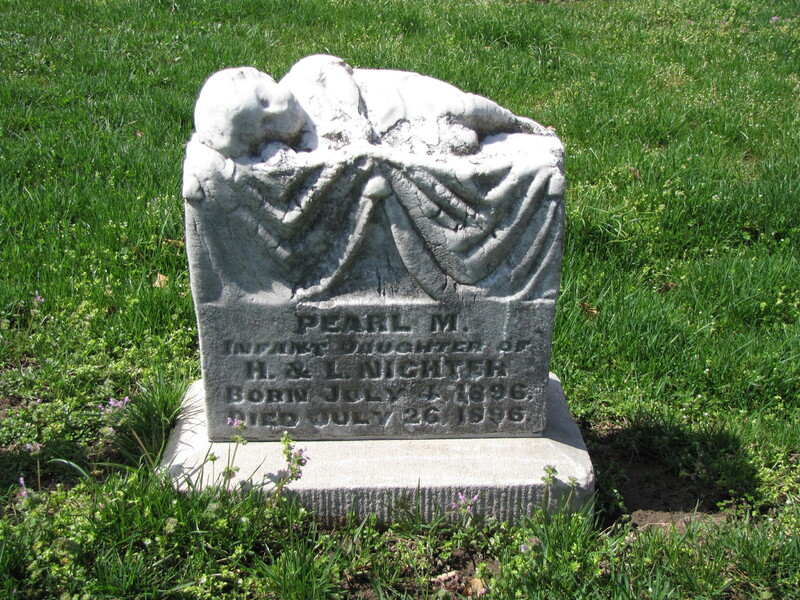 All three of these children are buried in the St. Ambrose Church Cemetery at Seymour, Indiana. Each child was under the age of five–they ranged in age between 20 days old and four years old. 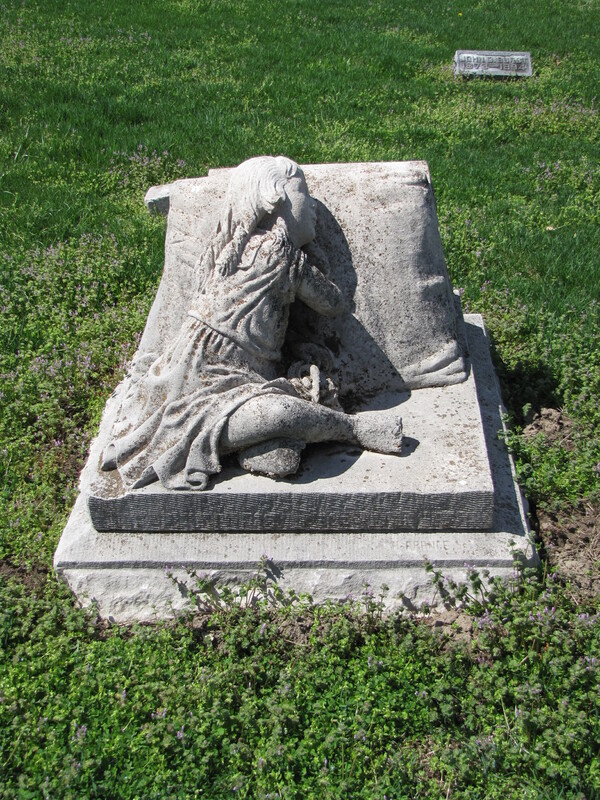 Each gravestone shows a sleeping child. It has too be more comforting to think of a young child sleeping rather than the alternative. The sentiment is tender and sad. This entry was posted in Children's Graves. Bookmark the permalink.